Are you looking for something truly special to take home from your trip to Helen? Located just a stone's throw away from the Helen cabins is the Nacoochee Village Antique Mall. This charming shop has just about everything that you could possibly imagine, bringing back memories of years gone by. It's truly a blast from the past. 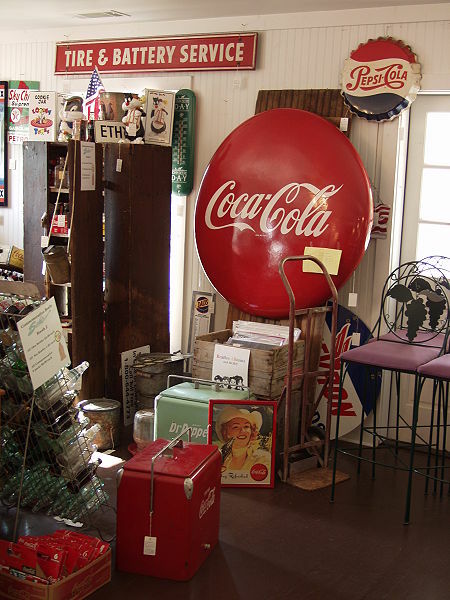 Whether you're just in the mood to browse through the various antiques and collectables that are available for purchase and on display, are hoping to find a unique gift to take home to your friends and loved ones, or are on the hunt for something special from your childhood, you're sure to have a lot of fun exploring the store. Be sure to give yourself plenty of time to look around, because there's a lot to see at the Nacoochee Village Antique Mall. History is rich and abounding at the Nacoochee Village Antique Mall, and not just because of the fascinating trinkets and memorabilia. The shop is set up inside of the historic Martin House. The house was built in 1876 - the same year that John Martin came to Helen, GA in order to search for gold. 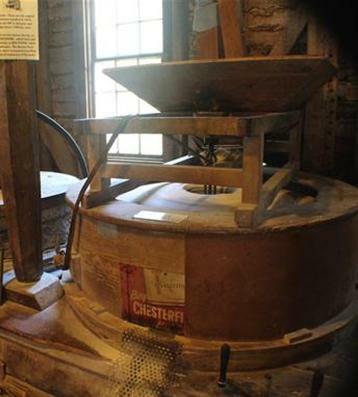 He established the well-known and historically significant gritsmill - Nora Mill Granary - that is still in operation to this day. In addition to this, Mr. Martin also owned Martin Mines. Its ties to the past are only one part of what makes the Nacoochee Village Antique Mall so special. Spending time in even a small antiques and collectable shop can be thrilling, as you stop to examine everything closely and exclaim over interesting finds. This antique mall, however, takes things to a whole new level. Offering 3 entire floors of shopping, you'll find yourself passing hours as you inspect the wares on sale from anywhere between 40-50 different venders at any given time. You're sure to find treasure during your visit. Perhaps you'll come across a favorite childhood toy, an item that your grandmother once owned, or that special something that will complete your collection at last. No matter what you walk away with, you're sure to enjoy a day of fun and interest. It would be impossible to list all of the incredible antiques, treasures, pieces of memorabilia, and bargains that you'll find throughout the multiple floors of the historic Martin House. New items are constantly being acquired, making it possible for you to come back and visit the Nacoochee Village Antique Mall every time that you visit Helen and still find something different to please you and satisfy your needs. You'll be amazed by everything that there is to see. You could spend a great deal of your time just leafing through the many antique books that are available, as they bring back memories of yesteryear and that intoxicatingly delicious "old book smell". The perfect antique clock for your mantel could be waiting for you, or coins to add to your ongoing collection. You'll find glassware, flatware, hardware, old kitchen appliances, antique furnishings, chandeliers, fine china, jewelry, antiquated tools, the records you listened to as a teen, quilts, toys, comic books, collectors items and memorabilia, and much much more. And after a great day of treasure hunting, be sure to enjoy a glass of Habersham Winery wines or St. Ives coffee which is sold at the mall. Excepting for holidays, the Nacoochee Village Antique Mall is open for your shopping pleasure 7 days a week. From Monday through Thursday, the shop is open from 10am - 5pm, whereas from Friday through Sunday, you may explore from 10am - 6pm. Keep in mind, though, that you'll want to give yourself plenty of time to look through the massive inventory of antiques and collectables. We'd recommend that you arrive no later than 1.5 hours before closing to ensure that you can look around and enjoy the experience. It's also important to note that the antique mall is home to a house cat named Tique. Those with allergies to cat dander should be mindful of this. Do you have antique items that you'd like to sell? Talk to the staff, as they also buy goods. Until September of this year, the antique mall is participating in Nacoochee Village's 2nd Saturday festivals. Upcoming festivals will be held on July 12th, August 9th, and September 13th from 10am - 6pm. You'll be able to browse through some of the antiques for sale, as well as numerous other vendor booths to view arts, crafts, jewelry, pottery and more. Are you hoping to find something specific from your past? The Nacochee Village Antique Mall encourages its customers to e-mail or call in advance so that they can check their inventory for you. Happy shopping!